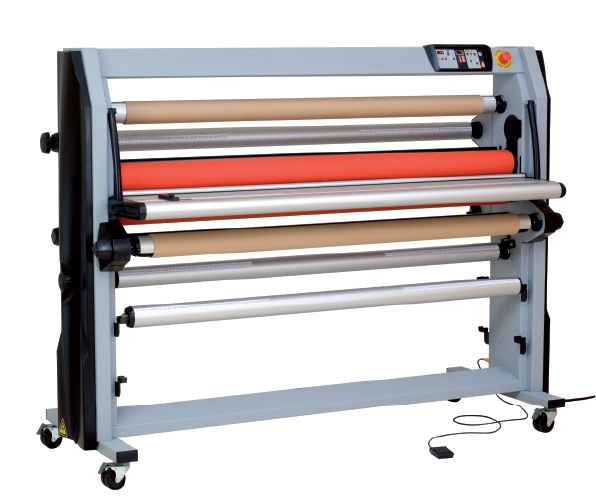 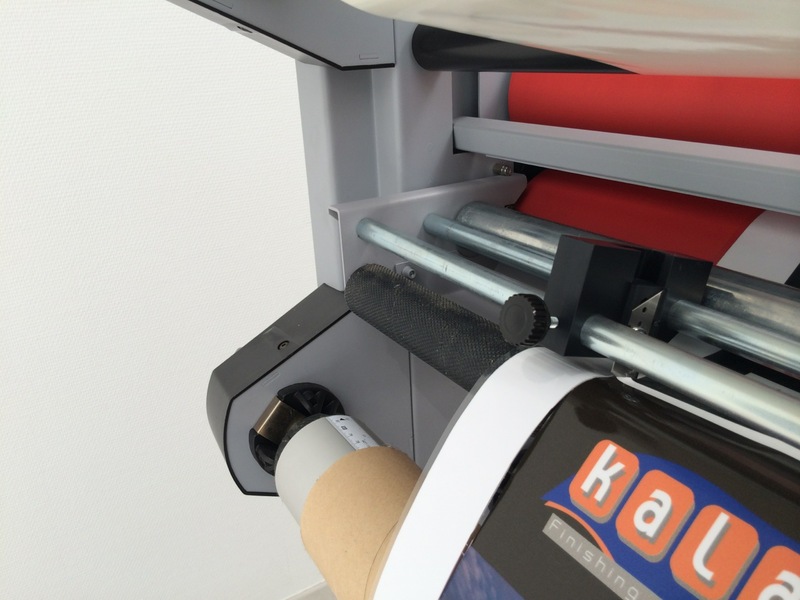 The Kala Arkane 1650 D is a high quality, high speed laminator with top and bottom heated roller, for specific applications. 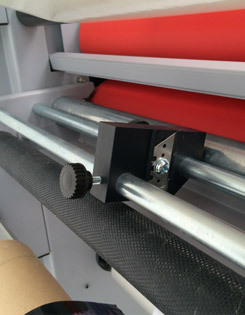 Available in widths of 65". 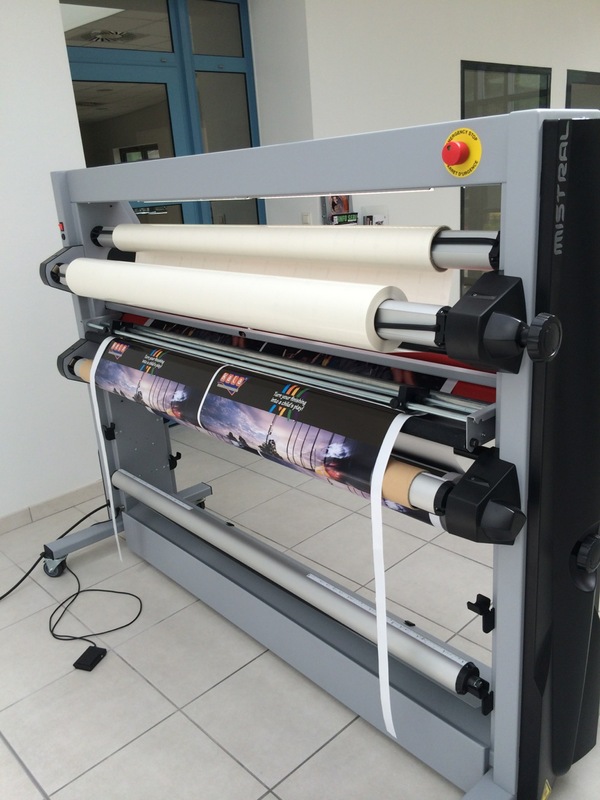 Includes a motorized nip assembly with a maximum mounting thickness of 2". 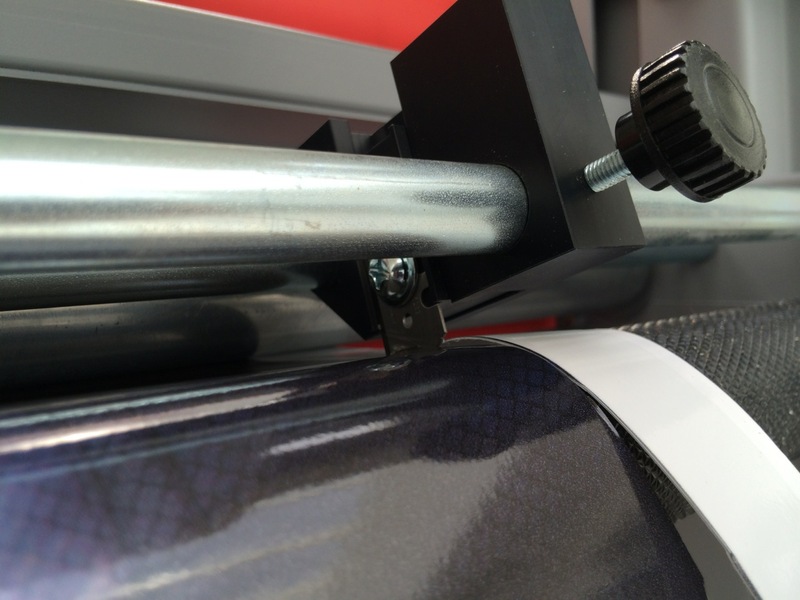 Speed capability of 21' per minute and has roller heat assistance up to 285⁰ F.
Comes with 5 shafts, 1 feeder plate, 1 infeed print guide, 1 print media shaft, LED light kit, and rear pull rollers and forced air cooling.